What is the Footer Menu? 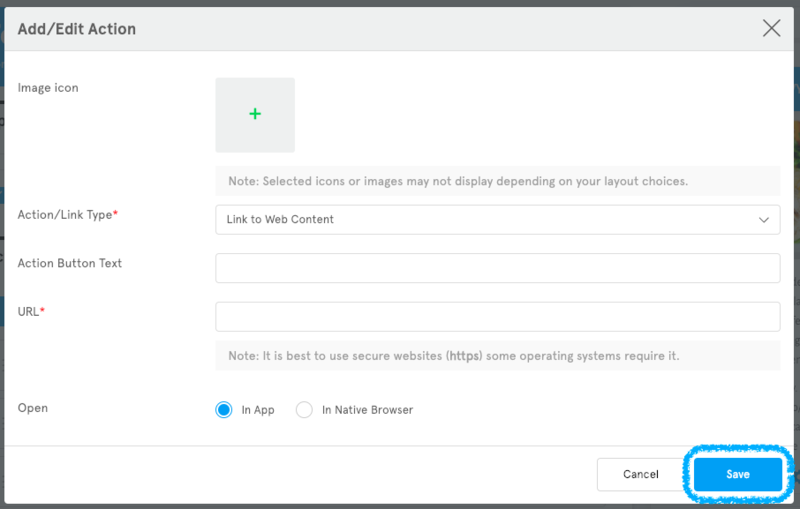 The Footer Menu allows you to give users access to the most important areas of your app as well as allow them to perform actions outside of your app related to it. Once you enable it, it will display under the features of your app as users navigate throughout your app. This is also a great way to add user interaction to your app by showcasing limited time features such as monthly contests. 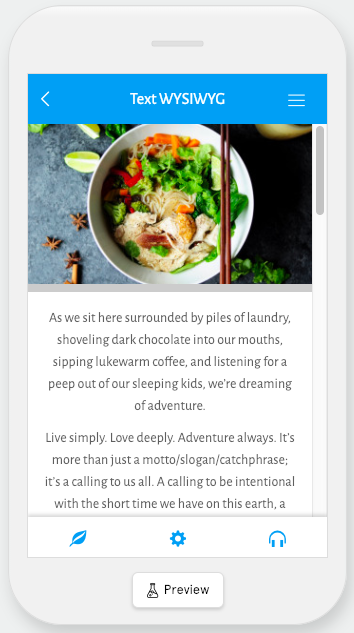 In this article we’ll go over how to set up your Footer Menu. What are the different options for the Footer Menu and how do you set them up? Here we’ll go over the different options that you have for the Footer Menu and how to set up the Footer Menu. Before you begin working on the Footer Menu you’ll need to enable it by selecting “Turn On”. Now that you have it enabled, we’ll go over the different options you have for the Footer Menu. In this section you have a couple of visual options for your Footer Menu. This option allows you to display a shadow above the Footer Menu. This can help visually separate the Footer Menu from the rest of your app. 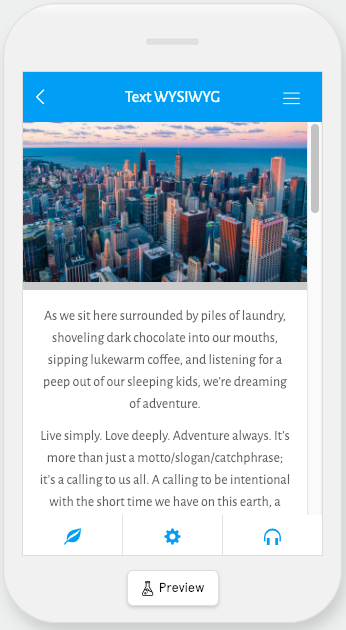 This option allows you to display a border above your Footer Menu. Just like the shadow option, it can help visually separate your Footer Menu from the rest of your app. This option allows you do display a vertical line between the actions that you have set up in your Footer Menu. 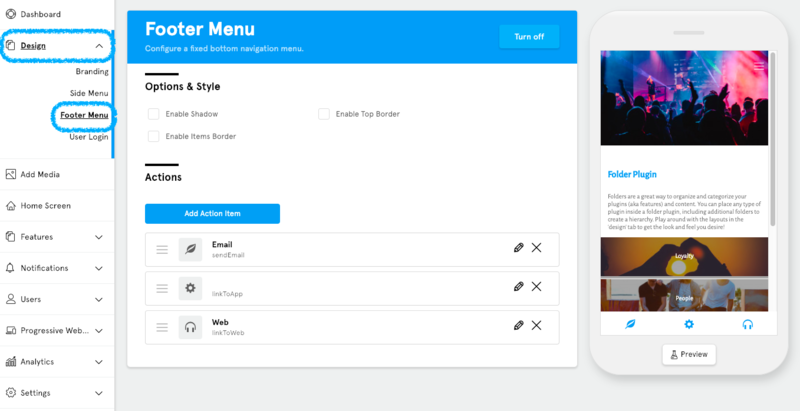 In the Actions section you use the Action Builder to add Action Items to your Footer Menu which allows users to navigate throughout your app as well as give them access to options outside of the app such as contacting you via phone or email. We have an in-depth article on the Action Builder which you can find here. Here’s how you add an Action Item to your Footer Menu. Clicking on “Add Action Item” will bring up our Action builder. Use the Action Builder to set up the Action Item that you’d like to add to the Footer Menu. For a comprehensive list of all of the Action Item types that you can add, we encourage you to check out our article on the Action Builder here. In the Action Builder you can give the Action Item an image or an icon, or you can use text instead if you opt out of using an image. Once you’ve set up the Action Item click “Save” to apply it to the Footer Menu. Congratulations! You now know how to set up your Footer Menu! You want to be mindful of the amount of actions that you add to the Footer Menu. Having too many will make it harder to use. We recommend that you only put action items to the most important features in your app, or you use action items that will make navigating the app easier for the user.